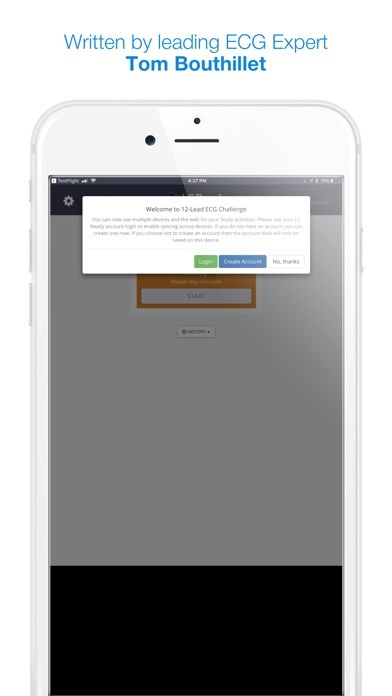 12-Lead ECG Challenge is the ideal way to sharpen your 12-Lead ECG interpretation skills. 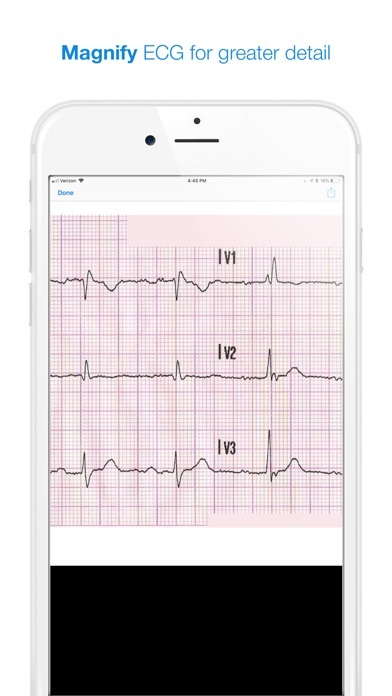 Created by Tom Bouthillet electrocardiography expert and popular ECG blogger, this app contains 180 clinically obtained 12-lead ECGs to provide you the practice, insights and confidence you need! 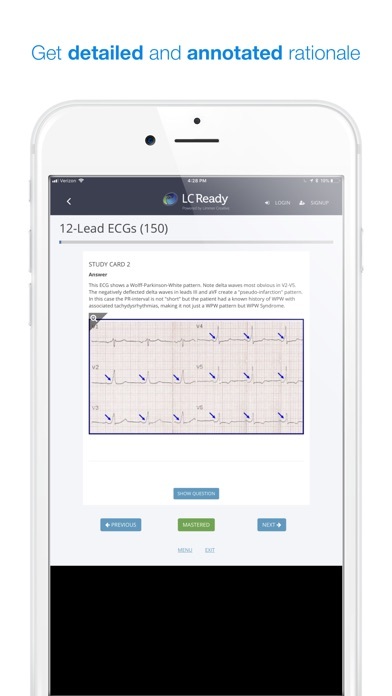 The 12-Lead ECG Challenge app presents a wide variety of cardiac pathologies including a special emphasis on acute STEMI and the STEMI mimics, electrolyte imbalances and others. If you are responsible for cath lab activation, this program is ideal for honing skills and preventing false activation. Each case begins with the patient complaint and the actual field or hospital 12-lead ECG. You will be able to examine each 12-lead and come to a diagnostic conclusion. ECGs are expandable and movable for easy viewing on phones, computers or tablets. After choosing “answer” you will see a detailed analysis of the 12-lead – many times with highlights graphically superimposed over the strip itself to show areas of interest. The 12-Lead ECG challenge allows you to choose 5, 10 or 20 strips at a time as well as a feature allowing you to exclude questions you have already mastered from the program. App Highlights: • Phone or tablet- no problem! ECGs expand and move on your screen for easy viewing. 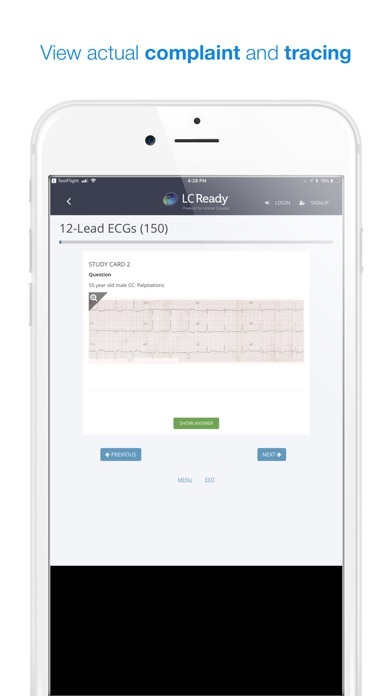 • 150 high-quality 12-lead ECGs. • 12-leads are presented with the actual patient complaint/scenario. • Detailed rationale answers including actual diagnosis and graphical reference demonstrating key points on the ECG itself. • Highlights acute STEMI, STEMI mimics, cath lab activation recommendations, electrolyte imbalances, and other cardiac and atypical presentations and anginal equivalents. I love this app it's teaching me 12 leads I didn't know. I wish it had multiple choice though. Other than that love it. As a paramedic I love having the ability to test my diagnostic ability for 12 leads. This is a good program to see a lot of interesting ECGs. Its limits are that it is not a "great" teaching tool. It does go a little into the diagnostic criteria for each slide but you need to already have a pretty solid background in those areas for it to mean anything. I unfortunately had a pretty poor classroom education for 12 leads and have had to take it upon myself to learn as much as I could. Overall a good program. As a new paramedic, I really need a handy tool to help me stay sharp on 12-lead analysis and this app delivers. Its sleek, simple design eliminates all the noise and lets you concentrate on making the crucial decision: Do I activate the cath lab? I hope the designers continue to update and add more 12-leads for conditions beyond the AMI. There are a handful of them here (Brugada, WPW, etc. ), but in this case more is better. Like having a mini text book on your smart phone! This is a great app for both the novice and experienced clinician and I will recommend for both nurses and paramedics alike. Finally a 12 lead app from someone I trust. Glad to see that your blog has spilled over into the app store. First I want to say it is a good app. Great ECG's that will give you a great study tool. The only thing that slows me down right now with it is when I zoom in to take a closer look at the ECG's the images are extremely touchy. What I mean is when I try and move the ECG around with my finger, after about 10 seconds of it being zoomed in, the ECG's will jump from one end of the ECG to the other when I try and only move it from lead 1-3 over to maybe V1-V3. And sometimes it moves it completely off the screen and I have to try and find it or give up and zoom out. But the ECG images themselves are great quality and a great challenge. Second the app could be even better if there was maybe a study section that showed examples and explanations of the STEMI mimics. I'm sure the app is large enough but a small section that gave a better explanation of what benign early re-polarization looks like would in my mind makes this app the ultimate 12 lead study app. Great work!! !